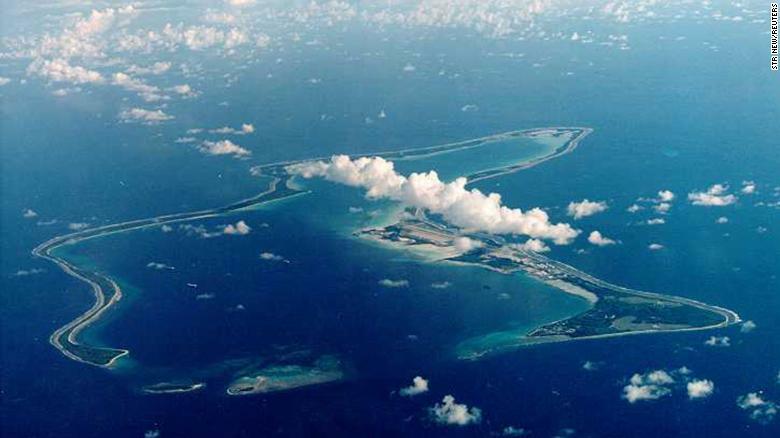 TRANSCEND MEDIA SERVICE » Is the United States about to Lose Control of Its Secretive Diego Garcia Military Base? 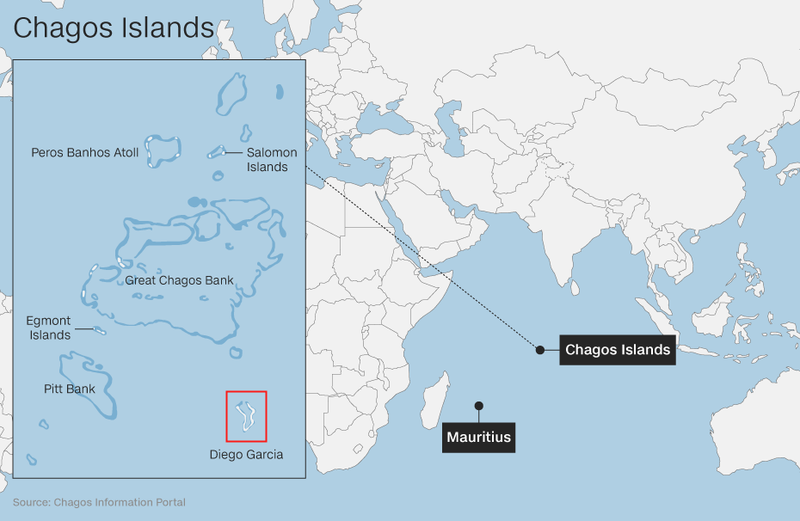 11 Mar 2019 – The secretive Diego Garcia military base may be 1,000 miles from the nearest continent, but it has all the trappings of a modern American town. 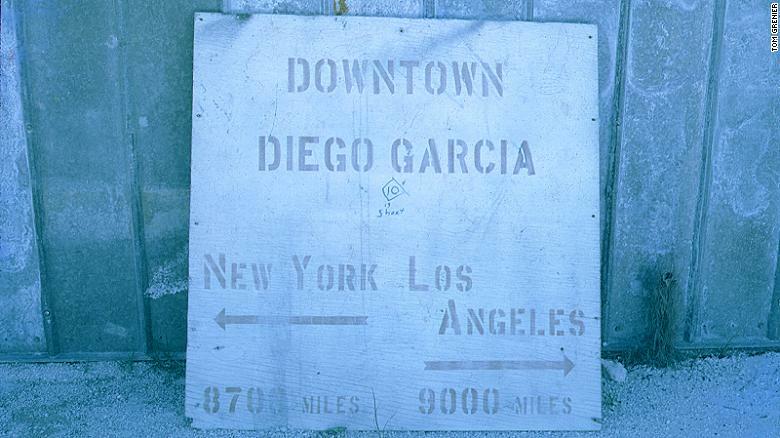 Diego Garcia in 1974. 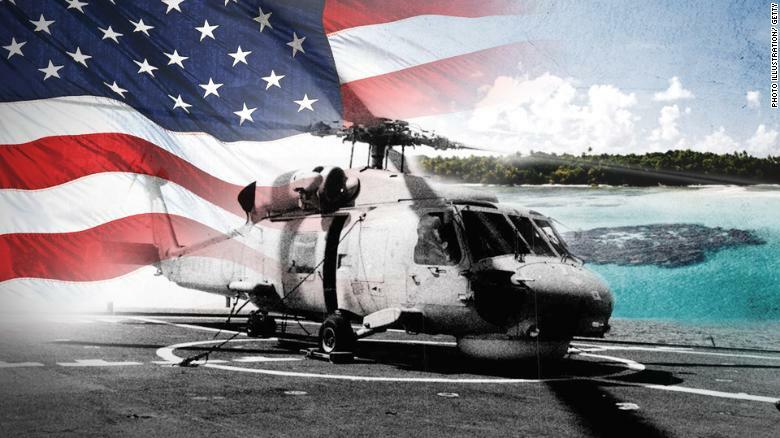 Tom Grenier was stationed at Diego Garcia in 1974 with USN Seabees. 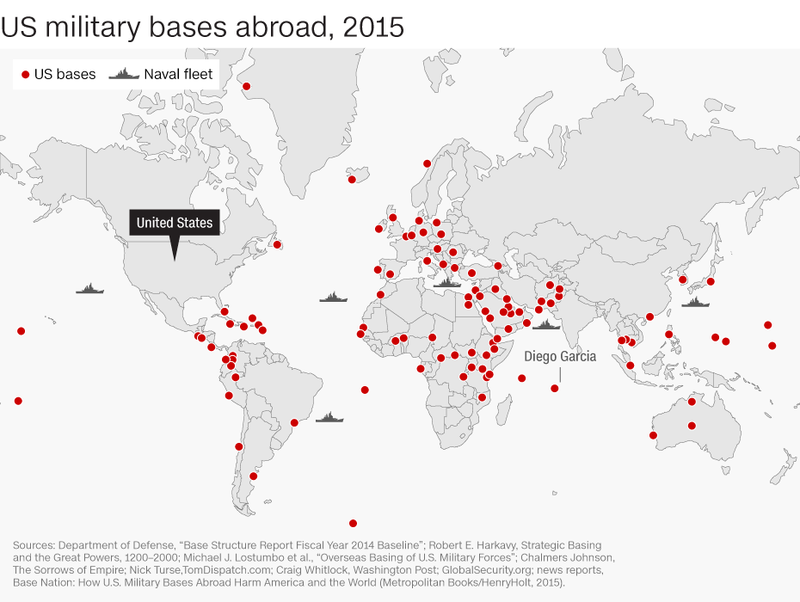 These are his images of Diego Garcia. 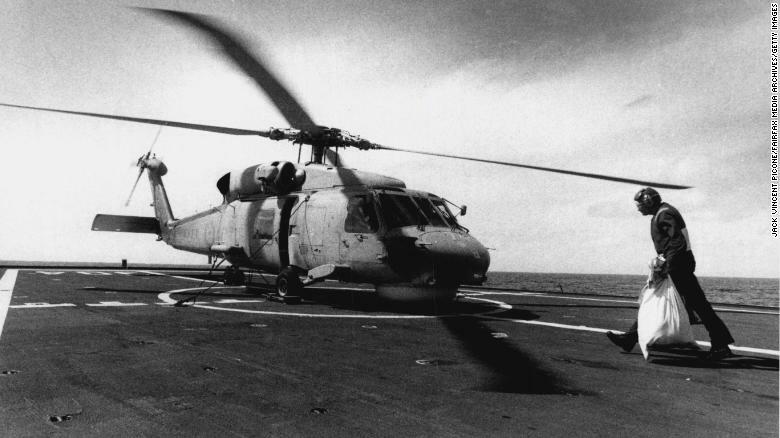 A chopper picks up mail bag to be taken to Diego Garcia in September, 1990. 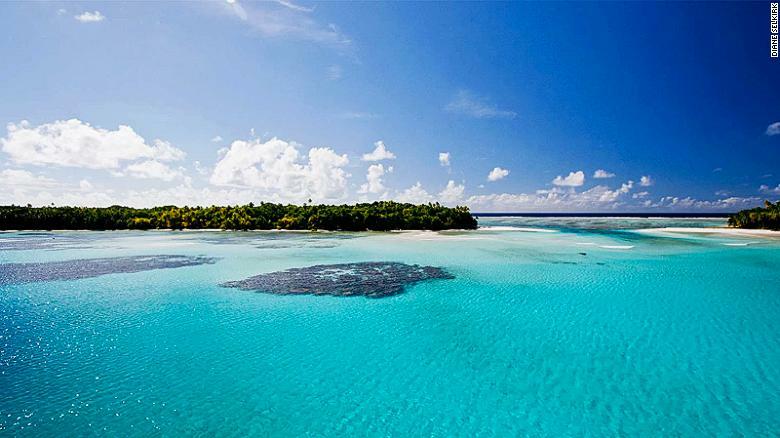 The Chagos Islands looks like paradise but has a dark history. 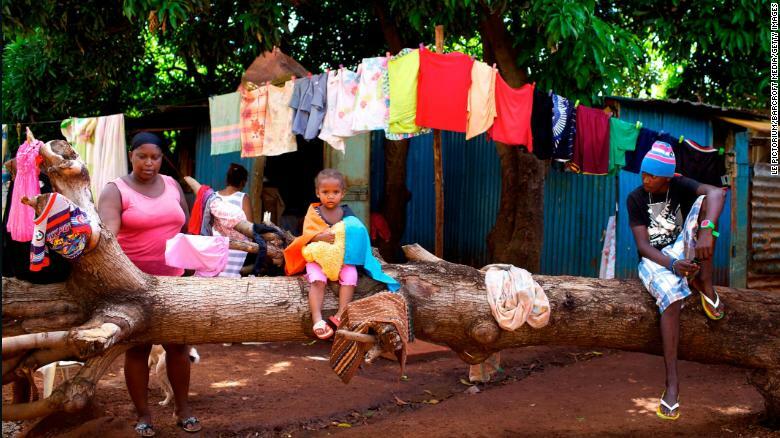 A Chagosian family in the slum of Baie du Tombeau, in Mauritius, with a Chagossian flag. 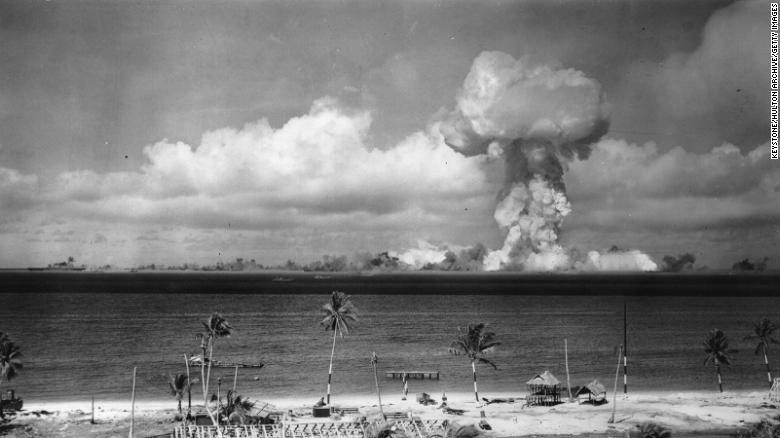 A mushroom cloud forms after the initial atomic bomb test explosion off the coast of Bikini Atoll, Marshall Islands in July 1946. 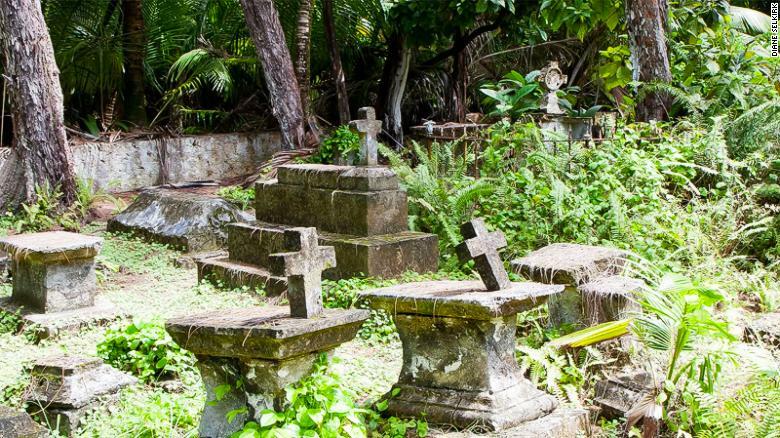 Overrun graves on the Chagos Islands in Diego Garcia. 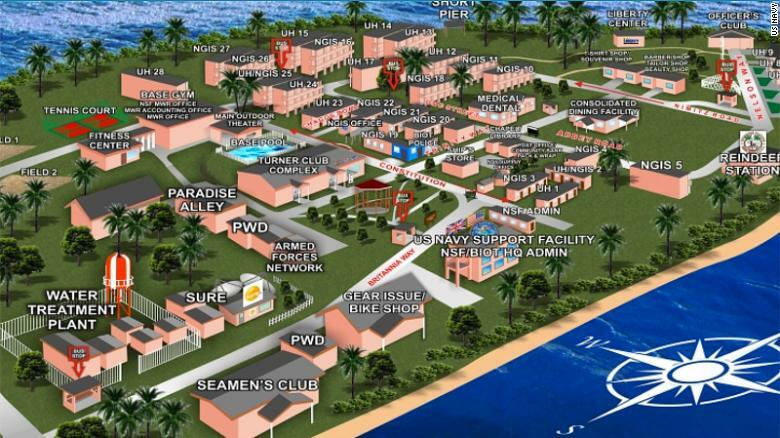 A map of downtown Diego Garcia. 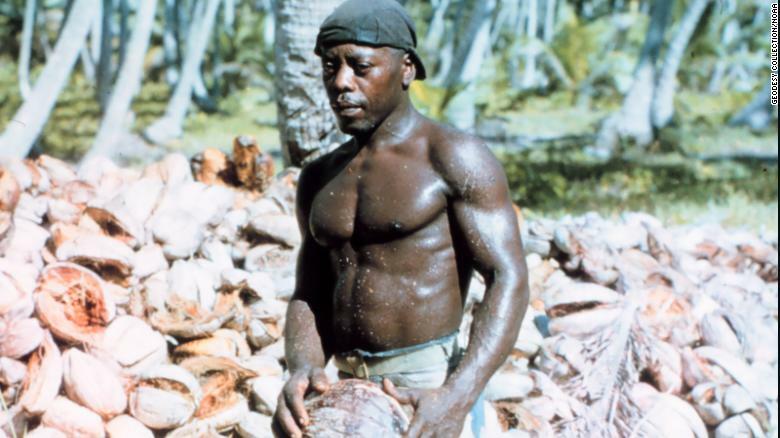 Indigenous Chagosians were removed from the island so the base could be built. 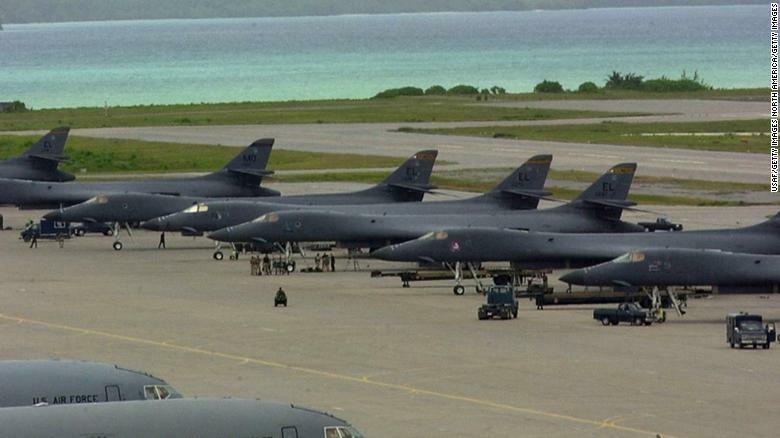 A row of B-1 bombers sits on the tarmac at the US base on Diego Garcia in 2001.